with the family or a more romantic moment with your partner. or sit and watch the acrobatic kite-surfers and body-boarders. reflection of the sun on the water. 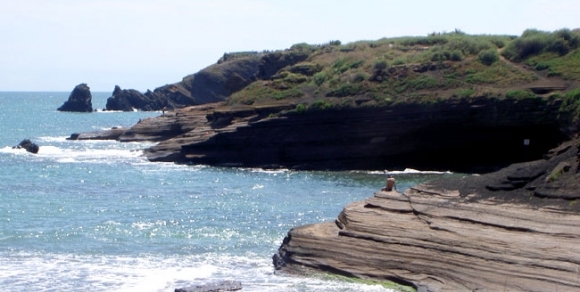 From East to West, nearly 100 km of mainly protected coastline await you. The coast stretches out amidst lagoons, lakes and the Mediterranean sea, giving this Languedoc coastline a rugged, picturesque charm. The softly sloping sandy beaches are the perfect place to relax or play. and offer hikers some breathtaking views. 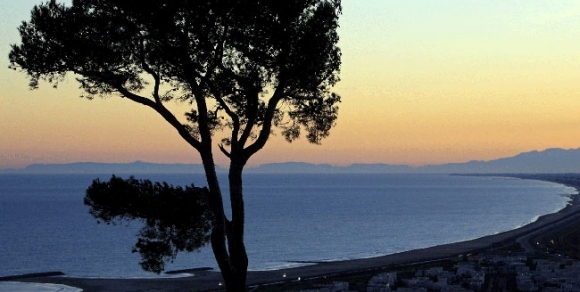 Looking more closely at the coastline, the area around Béziers to the West opens out onto vast wine-growing plains. The Canal du Midi runs through this land, with many engineering works to admire, such as in Vias, for example. in the natural region of the Camargue. 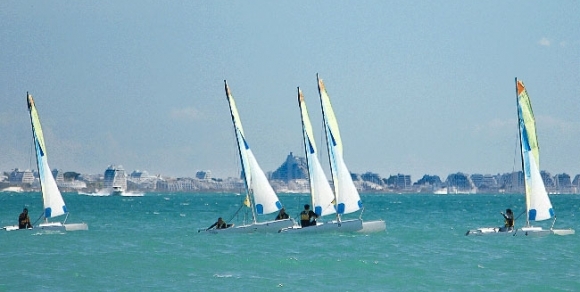 At the centre, around Sète, a slim sandbank separates the sea from the Etang de Thau, a veritable inland sea in itself. all live in harmony, with total respect for the generous environment.